Much needed attention has been given to battery life, and the GalNote 4’s 3320 mAh battery, according to Techcrunch, is enhanced with special software which ensures fast charging. Samsung told the tech blog that along with an ultra-low battery saving mode, the handset will be able to get to a 50% charge in just 30 minutes. Wireless charging had been rumoured, but that has proven not to be featured, most likely down to the fact that the hardware required adds considerable thickness to the device, which is something that Samsung have repeatedly tried to avoid. 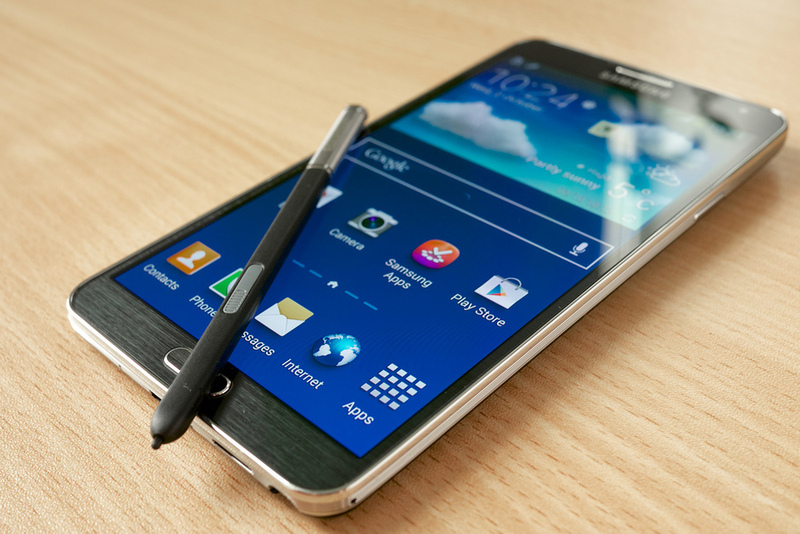 The S Pen stylus has also been improved upon earlier models, now acting more like a mouse. Drag and drop and copy and paste are now more fluid, as well as a more natural feel for handwriting. So, naturally, the GalNote 4 is a pretty solid upgrade to its predecessors, with nearly every element improved upon in some way. That said, improvements don’t always equate to something new, rather just the same thing but slightly better. And so, Samsung have also ventured into the world of virtual reality (VR) with the Gear VR Headset, cunningly only available to plug in to its new smartphone and not any of the earlier models. Indeed, it is the whole phone that is slotted into the headset, with the GalNote 4’s screen being used to create the VR experience. Users will be able to take 360 degree tours of various cities around the world, as well as having access to concerts, film trailers etc. Teaming up with Oculus to produce the headset, it will be powered using the Galaxy Note 4’s GPU/CPU, and the AMOLED screen will be the display. Oculus have indeed proven that mobile virtual reality is more than possible on next-generation smartphones, with one of the best features of the headset and handset combo being that it is completely wireless, giving the user a totally untethered experience once they’ve slipped it on and hit ‘go’. Navigating menus, playing games and exploring worlds are to be mostly done with head movements, although Samsung have informed that the headset will be compatible with Bluetooth gaming controllers, though nothing more specific than that has emerged at this time. This is in turn is made possible by one of the headset’s more simpler technologies: unlike the Google Cardboard for instance, the Gear VR straps to the user’s head, so that your hands can indeed be kept free as you don’t have to hold the thing in front of your face the whole time you are using it. What VR Experiences will be Available? Samsung have said that a content store for VR apps will be available upon release of the headset, but for now reviewers are being given little tasters of what the new technology can do. A Coldplay concert and an Avengers game which lets the user explore Tony Stark’s labs have apparently been doing the rounds. Dan Seifert of The Verge got to try out a space shooter game, whereby head movements are used to steer a spacecraft, and enemy ships are blasted by tapping either side of the headset. All very cool I’m sure, but for now these tasters really just provide a few moments of entertainment and little else. Nothing has been specifically mentioned about either the Galaxy Note 4 or the VR Headset as yet. The only information that has been given is that they are both set to go on sale this fall. So, pretty soon, we can imagine. With the iPhone 6 looking set to be released sometime this month, Samasung will not want to lag too far behind, especially since a larger version of the new Apple device will be falling under the ‘phablet’ category. Pricing, too, is being kept under wraps for the time being, for both the headset and handset. Galaxynote4.com speculates that the price of the phone will be around $750 to $810, as for the headset, we shall have to see. Since Oculus debuted its Rift 2 years ago, VR has seen a significant boost in not only capability but also popularity. With Samsung now joining in the fun, VR looks certain to be the new trend in mobile accessories, with the Gear VR being one of the first truly important steps towards what will no doubt become the norm in a few short years’ time. However, just how popular it will be will largely depend on the price – remembering that users will have to make two significant purchases of both new phone and headset to enjoy the experience. Some will no doubt sell, however, and those reviews might well pave the way for a much more ‘virtual’ future ahead.